DISCO3.CO.UK - View topic - Camera Car - what now no D4? Camera Car - what now no D4? L405 would seem the choice going forwards. Leaving poo bags aside and back to camera cars. Is it not illegal to use a vehicle in such away on the UK highways? I thought all occupants in such a vehicle (as the D4) must have to wear a seatbelt? Is there special dispensation that can be had? must be secured with a safety line. cars, or from any open doors. ....but be honest ....are they going to make the D5 "cameraman" compliant for a handful of tv & film opportunities? I think the point Dannyson was making was that it was “yet another “utility front””. to appeal to new buyers who have little idea how a hammer is meant to work! The use of standard vehicles where filming is done through an open window and all the equipment is kept within the confines of the vehicle is not a major issue. It is important that the operator and their camera are secure in the vehicle. However filming from a moving vehicle when the operator is doing so through a raised tailgate or boot lid (e.g. an Volvo or Audi estate) would not be endorsed by us as a safe method of filming on the highway unless the vehicle is approved by manufacturer as having no loss of body strength when driven with tailgates/doors open. We have yet to find a manufacturer who would provide this endorsement for standard hatchback/estate cars as they tend to have no chassis but rely on a monocoque style body shell, which relies on the doors all being shut etc. However some large 4 x 4 vehicles such as the Range Rover, BMW X5, Volvo XC90, Nissan Pathfinder, Toyota Landcruiser etc. 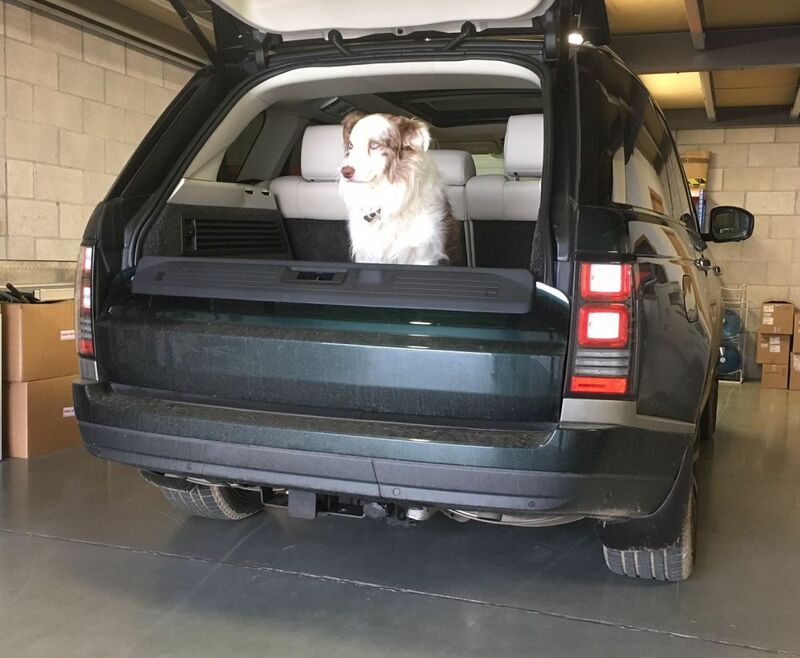 where there is a split tailgate and the upper glass portion can be locked up in a raised position and the lower portion closed shut, results in no loss of strength to the vehicle in the event of a collision (endorsed by Range Rover) and are therefore an acceptable solution. Additionally filming from a cabriolet/soft top car with the roof down is also an acceptable method and should give you an unobstructed 270 degree view to the rear. Well there you go then, they can buy an Mazda MX5 and save heaps of money! It goes where others don't.